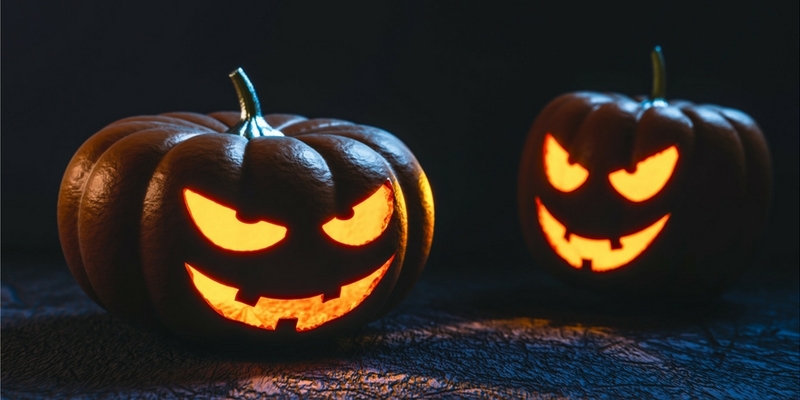 U.S. Consumers plan to spend a whopping $8.4 billion on costumes, candy, decorations, and more to celebrate Halloween 2016. The National Retail Federation anticipates spending for Halloween 2016 will be at an all-time high. The NRF’s annual survey found that 171 million Americans will celebrate the holiday, spending a total of $8.4 billion, the most reported in the survey’s 11-year history. Consumers plan to spend an average of $82.93 each, up from last year’s $74.34 per person spending. As far as costumes go, NRF says to expect zombies, Minions, and characters from Star Wars and Disney’s Frozen to show up at your door. If you’re still looking for ideas yourself, try Pinterest, where 17% of consumers plan to get their inspiration for costumes this year. 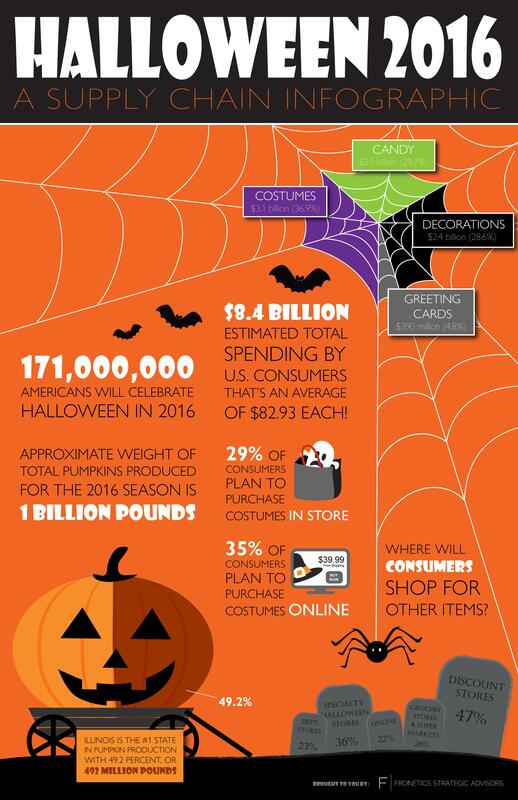 Check out our infographic of other interesting Halloween 2016 facts from the NRF’s survey of 6,791 consumers below.